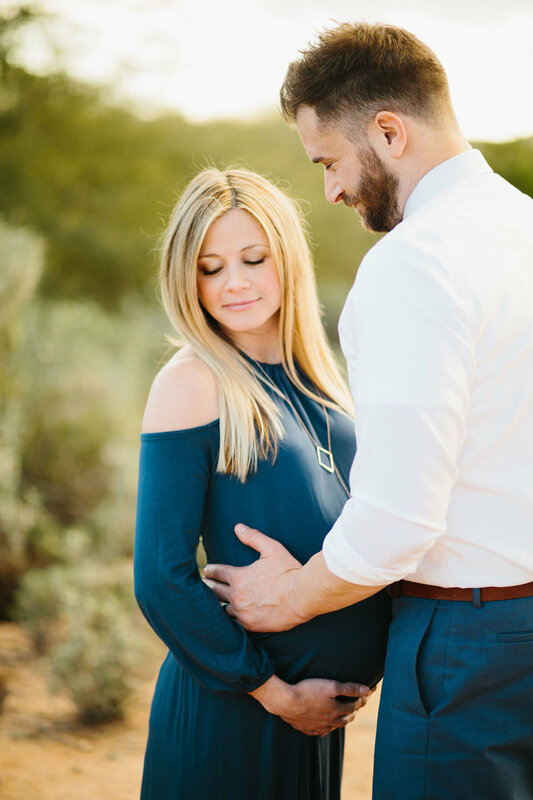 Before Evey was born, we had the pleasure of taking family maternity photos with the amazing Brittany LeSueur. She is such a gem you guys. Especially if you are getting married, look her up! This is our second go-around with maternity photos. Here are our maternity photos with our first born, Flynn. 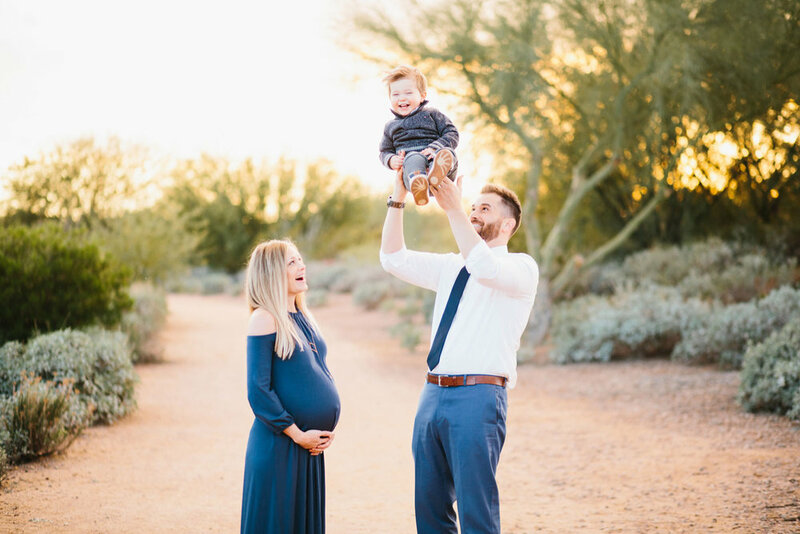 Compared to couple maternity photos, family maternity photos are a whole new ballgame. As many of you know, taking photos with a toddler is not fun. I usually leave feeling exhausted and defeated. This session was no different. I felt like with the way we had to wrangle Flynn man there was no way we were going to get any usable photos. But you guys ... I have no freakin idea how Brittany got these shots! It was like she magically made these gorgeous photos appear when there was really nothing but chaos taking place. She is seriously unreal. I can't wait to put these maternity family photos up in our house. I do have a bit of advice though for taking maternity photos. Do not wear a non-form fitting dress for your photo shoot. You will look like a whale. I was so incredibly bummed I wore this dress. There were so many cute photos Brittany took that were ruined by my mumu-esque attire. The Rachel Pally dress I wore in the maternity photos with Flynn was a much better choice. 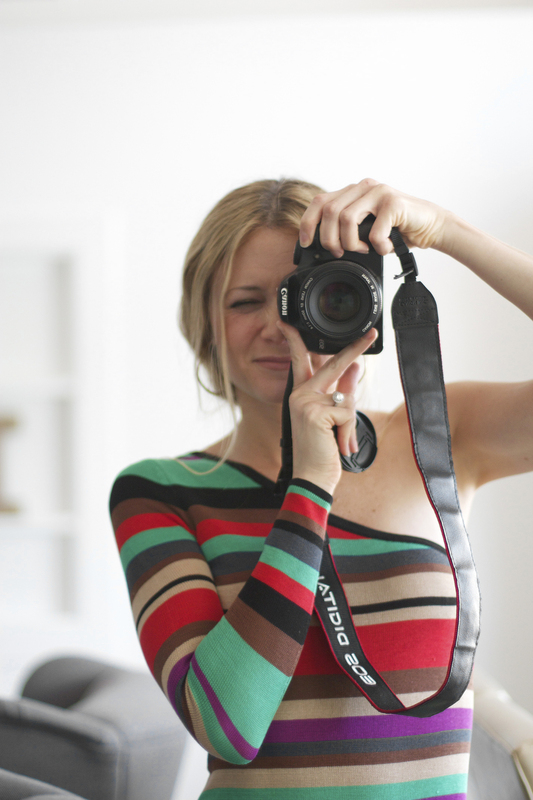 My second tip is to not wait until you are freakin ready to pop to get your maternity photos. With Flynn I delivered days later, and with Eve it was about the same. You get bloated towards the end and down right huge. It's much better to do your photos when your belly still looks cute-pregnant and not baby-wants-out-pregnant. Okay glad we had that little talk. Now back to our family maternity pictures. 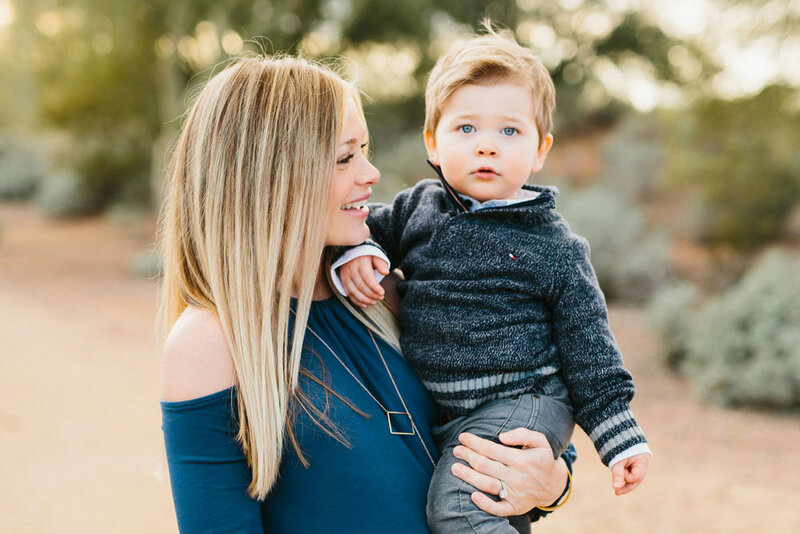 I'm so happy with how much Brittany incorporated our little man into our family maternity photos. He stole the show of course. Being as though I'm usually the mom behind the lens, I don't have a lot of photos of Flynn man and me. So I treasure shots like this above. Man pregnancy hair is so great. I wish I had these locks back. Now that Evey is here, it's so hard to remember what life was like before there were four. It's so weird how that happens. Flynn's expression is great in this pic. Even with my smush face, these candid shots are my fave. I remember swinging like this with my parents. It was one of my favorite things to do. 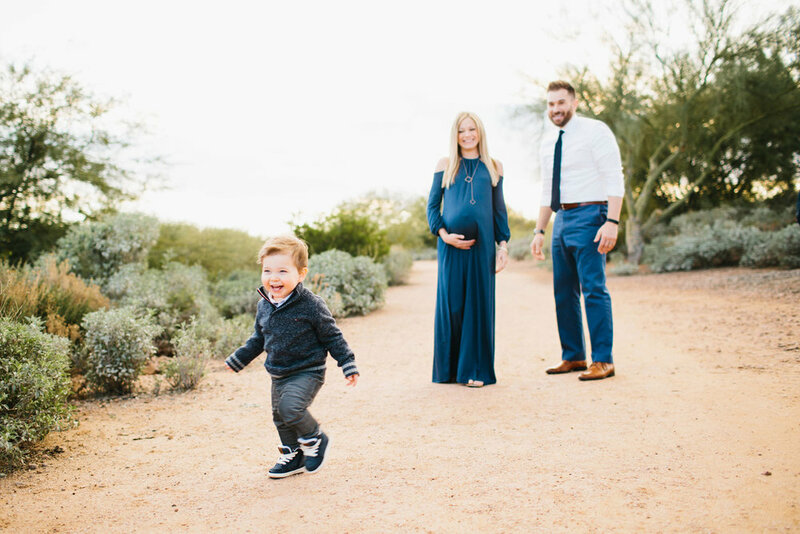 I think I've said it like ten times already, but this is one of my favorite shots from these family maternity photos. I can't get enough of this face Flynn makes. Here is Flynn man channelling his blue steel. I found this necklace at Target, and I wear it every time I wear real clothes aka not yoga clothes or pajamas. The scene above is very typical around our house. It melts my heart the way Flynn man and Mikes play together. Even though it's not the easiest thing in the world, especially if your kiddos are close in age like mine, I highly recommend doing family maternity photos. You will not regret it. You will have beautiful photos of a very special and very fleeting moment in time.